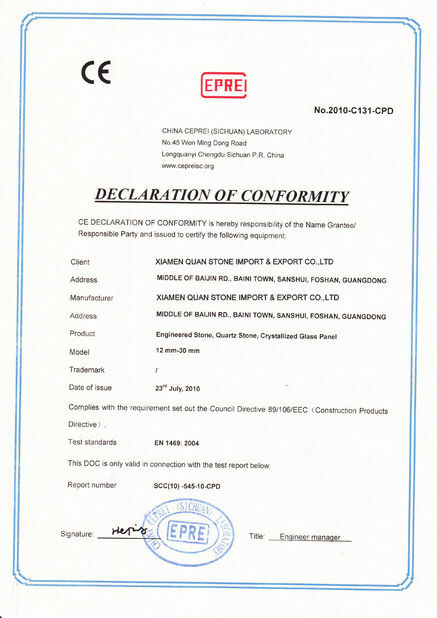 Contact Us - Xiamen Quan Stone Import & Export Co., Ltd. Awesome experience at Quan stones. Their quartz countertops throughout the kitchen and bathroom is beyond my expectation , amazing ! Great company. Was about to use Ikea or home depot . Then I was refer to this company and their price was cheaper, quality 10x better . 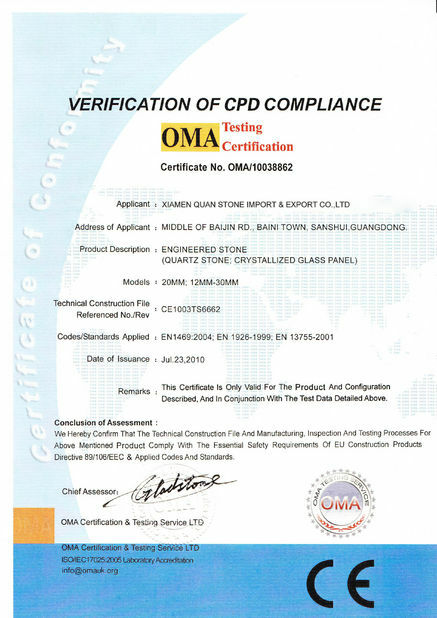 "The experience with Quan Stone has truly been rewarding. Not only is the quality great, but the prices are just as great. The measurements were wonderfully accurate and the result was the most beautiful countertops and island that I have ever had. Thanks so much to them.